Sleeping Fox Edison Lamp – Touch Sensor Lamp. 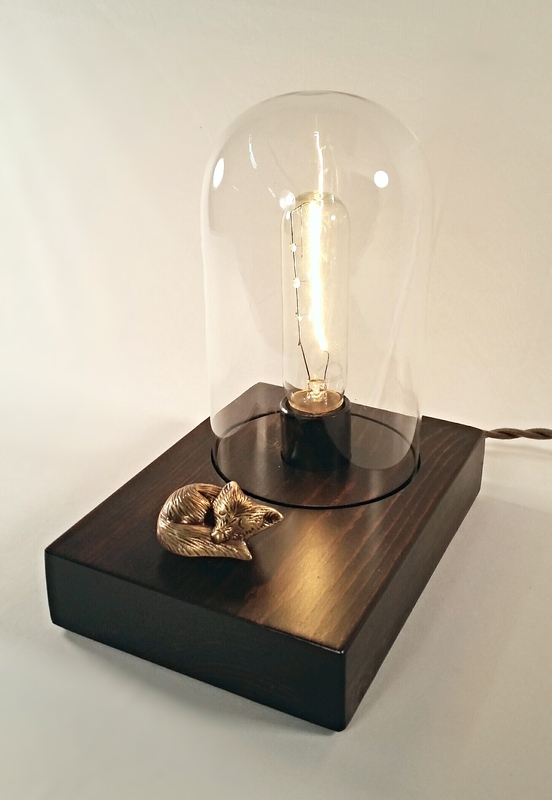 Simply ‘touch’ any part of the brass Sleeping Fox to control the lamp ( on/off/3 levels of brightness). Handcrafted wood base, a reproduction cloth covered cord, industrial style glass dome, porcelain socket, and the simple single filament bulb combine to give this lamp its vintage inspired character. The light bulb is included.